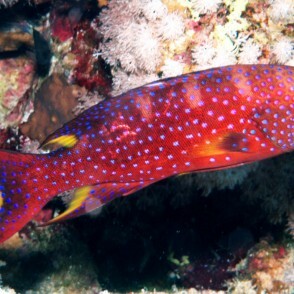 As a juvenile, The Red Louti Grouper, also known as the Coronation Grouper or Lyretail Grouper, is orange dorsally, and yellowish-white ventrally, with mulitple spots. 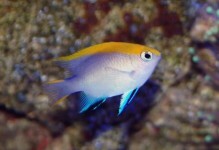 It often has some black patches separating the dorsal and ventral halves. 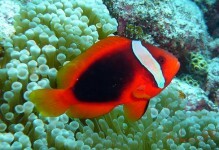 As an adult, the body darkens to a deeper red or maroon, with multiple spots, and the tail takes on a lyre shape. 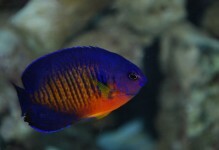 A 300 gallon or larger aquarium is required due to its size and eating habits. 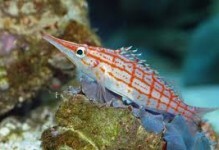 It is an aggressive fish and may eat tank mates as well as crustaceans. 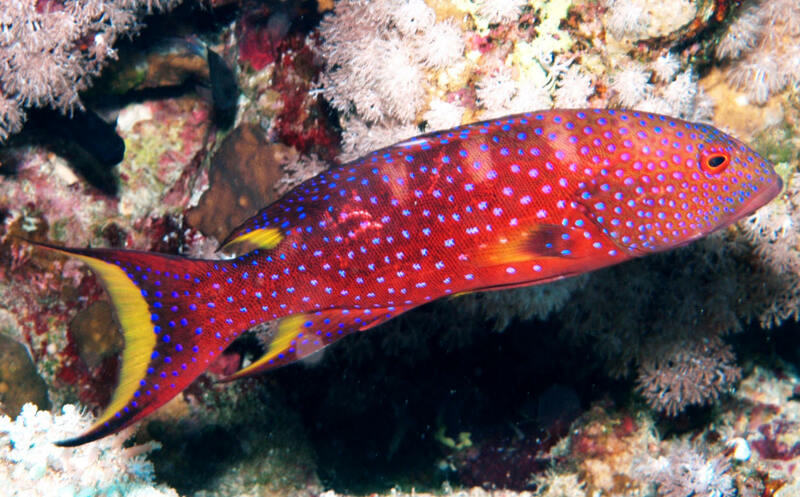 The Red Louti Grouper prefers a diet of meaty foods such as krill, shrimp, and other small fish.